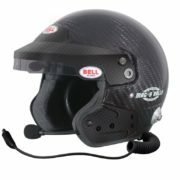 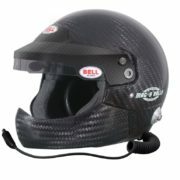 The unit is manufactured with Bell’s HP moulded ultra lightweight carbon fibre shell. 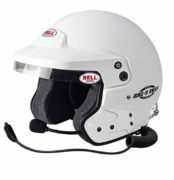 Multiple density liners and a fire resistant lining are installed for maximum head protection and the unit comes supplied with a Kevlar chin strap. There’s an internal driver comms package which includes a high specification Peltor compatible intercom headset. 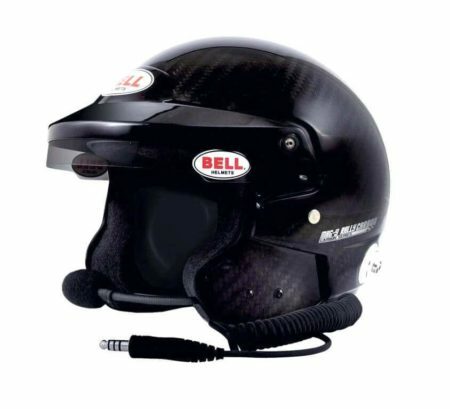 Also included a fully adjustable microphone boom and built-in, noise reduction ear cups. 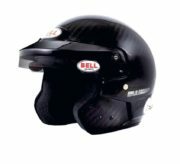 An adjustable sun peak is fitted with a Bell “anti-dazzle” sun strip. 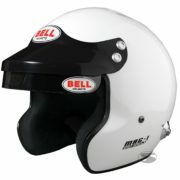 Supplied factory fitted with FHR/HANS clips.